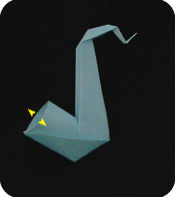 This origami sax was designed by Sergio Alonso and the original instructions can be found in this YouTube video. 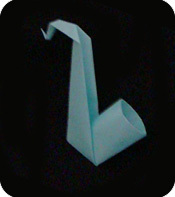 Below you will find step-by-step photo instructions to make this 3D saxophone. Start with a square sheet of paper. 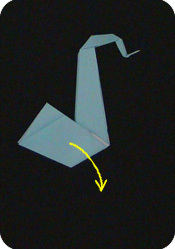 Place the paper with the white-side facing up and oriented like a diamond. 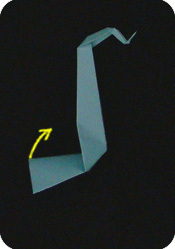 Fold the paper in half and unfold. 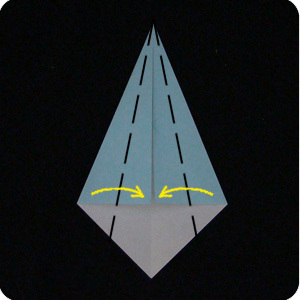 Fold down the top-left edge and the top-right edges of the paper so it meets the central crease made above. Repeat: fold in the top-left and the top-right edges of the paper so they align with the central crease. 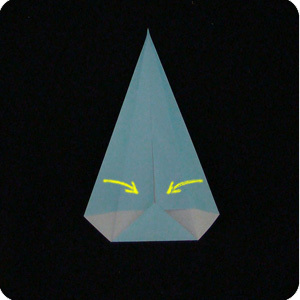 Fold up the bottom corner of the model so the models looks like a skinny triangle. 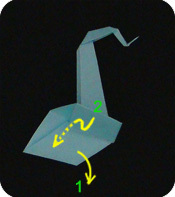 Unfold the last two steps so you are back at step 3. 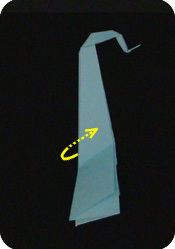 Fold up the bottom corner of the model. 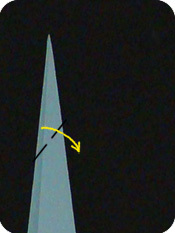 Use the crease made in step 4 as a guide (connect red dots). Refold the model as you did in steps 3. 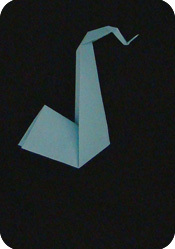 Fold the model in half from right to left. 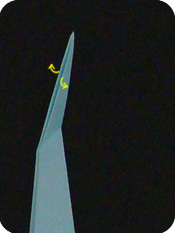 ← This is how the model looks like now. 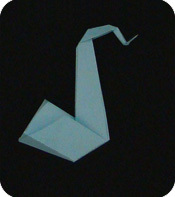 The next few steps will be for making the neck and mouth piece of the origami sax. 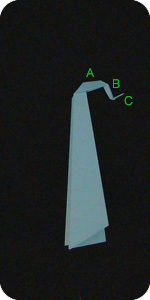 For clarity, the top section of the saxophone is divided into three sections, A, B, and C.
We will make section A with an Outside Reverse fold. 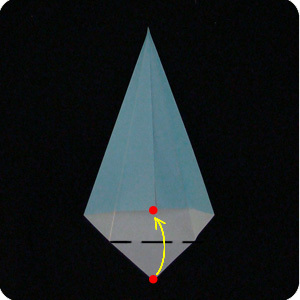 Valley fold the tip of the model – the location of the fold can vary but it should be a little more than 1/4 the length of the model. Pry open the layers of paper. 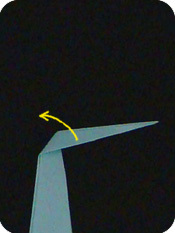 Invert the two layers of paper and fold the tip back down by using the crease made in step 10 as a guide. Section A is complete. 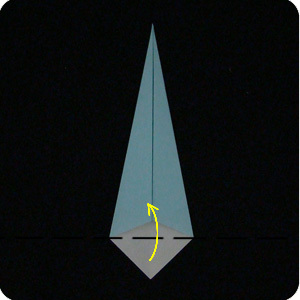 Next we will do an Inside Reverse fold. 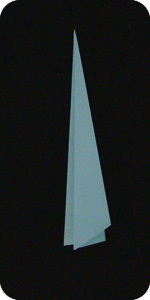 Valley fold the tip of the model. 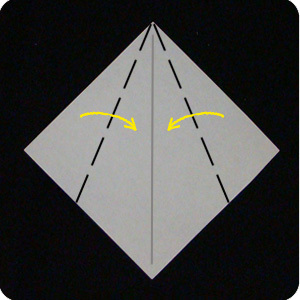 Make the fold about half way so section A is about the same length as sections B+C. 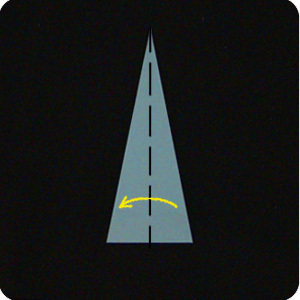 Actual distance is not critical. Pry open the layers of paper near section A. This is how the model should look like. Section B is complete. 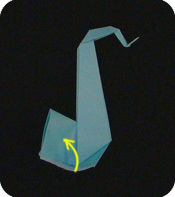 Perform another Inside Reverse fold to complete section C.
To form the bell of the origami sax, fold the bottom of the model up at an angle. 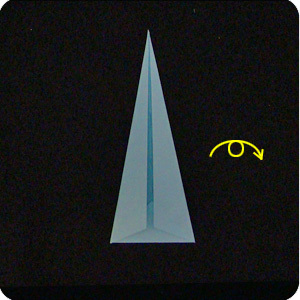 The location of the fold and the angle of the fold is up to personal taste. Generally, it should be about 1/3 the length of the model. Fold the bottom part of the model up so it lies in-between the two layers of paper. 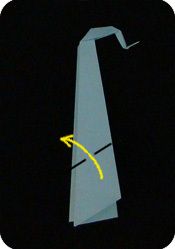 Use the crease made in step 13 as a guide. 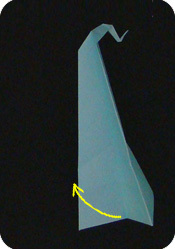 To secure the bell part of the saxophone, lift the top layer of paper. 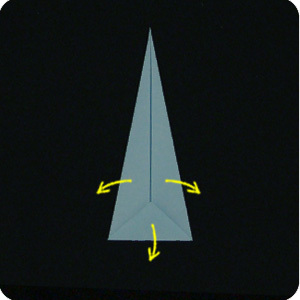 Pry open the under layer of paper and then tuck the top layer of paper under it. Refold the model so the hidden layer is now on top. 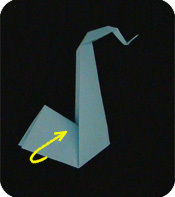 Mountain fold the flap of paper. Tuck it under as far as it is comfortable.